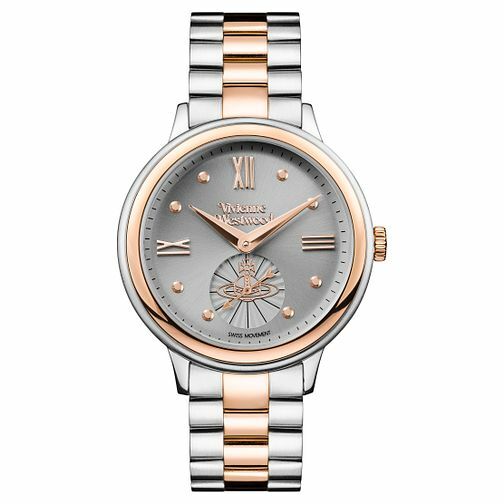 Experience traditional watch design with a fashionable edge with this elegant Vivenne Westwood piece, with a stainless steel case that is vertically accented with luxurious rose gold tones. The dial features a deep grey colour that is marked with roman numerals for a gentle reference to traditional watch designs, followed by circular rose gold nodes that help you mark the time easily. A small subdial is marked by the iconic orb motif to finish the piece with a fashionable flair.